In Industrial and mobile computing market, users want to use a device similar with Consumer-Style Smartphone but it must work in harsh environment. 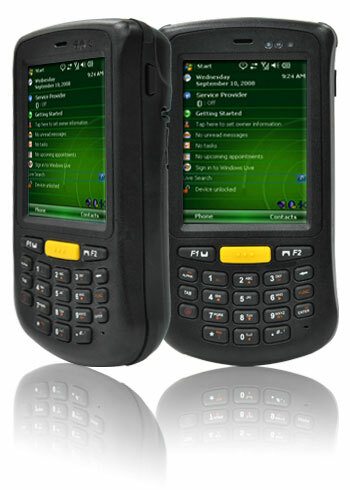 Winmate knows that, and to fulfill customers’ needs, we introduced our C350T Industrial Rugged PDA. With the industrial strength and a perfect size of handheld device, C350T is maintaining the general form factor which is a rugged and beefier industrial PDA. Winmate C350T is not like other devices, at 1.1 inches thickness and weighs less than 1 pound; this device is much handy, and lighter than any industrial rugged PDA in this class. This handheld is made of industrial plastic and it has rubber on each edge to protect it from scratching and harsh environment. In short, the design of this C350T is simply elegant for tough job. 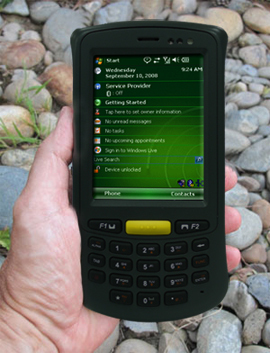 This industrial rugged PDA covers the TI Cortex A8 processor that can run android a s well and for the operating system, it supports Windows CE 6.0 / Android 2.3.4. 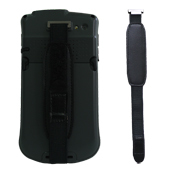 Depending on the users’ demand, this device can be ordered with optional RFID reader, or 1D/2D barcode scanner. C350T has a resistive touch screen(stylus embedded) and strong 440 nits LED Backlight with 5-megapixel camera as alternative of RFID. The device is also equipped with Build-in 21 key-mobile alphanumeric keypad with LED backlight. Winmate C350T Industrial Rugged PDA is designed for any kinds of harshand roughenvironmentssuch as Oil and Mining industry, petroleum industry, as well as other industries that need datacollection. It canbe solid, tough and not easily be scratched because of external protective rubbers. The device is sealed to IP54 Specification (compliant with IEC60529 standard), where this means protection against dust and splash of water. This industrial rugged PDA can handle a drop from 4 feet and exceeds applicable IEC tumble specifications.